Turkey's ruling Justice and Development (AK) Party on Wednesday criticized French President Emmanuel Macron for his remarks targeting Turkey and its EU membership process. 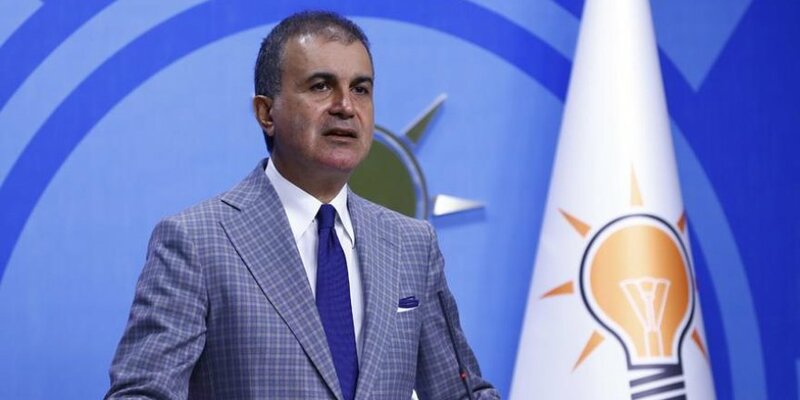 "We want to hear a commonsense statement from Macron on Turkey and we would also like to remind Macron how inconvenient it is to mix Islam and terror," said party spokesman Omer Celik, speaking at a news conference following the AK Party's central executive board meeting. During the Ambassadors Conference in Paris on Monday, Macron said “to fight Islamist terrorism, we created a new law in France”. He also questioned Turkey's EU membership. "We need to build a strategic partnership with Russia and Turkey because they are two important powers for our collective security; they must be tied to Europe," he said. "President Erdogan's Turkey is not President Mustafa Kemal Ataturk's Turkey anymore," he added. Referring to a plan by Dutch anti-Islam politician Geert Wilders to hold a Prophet Muhammad cartoon competition, Celik said "such provocative attacks cause these racists and fascists to gain a place in European politics”. "Europe’s ‘Daesh’ are its far-right parties…There is no difference between the leaders of the Daesh terrorist group and fascists like Dutch far-right leader Wilders. "Therefore, if they are taking measures against Daesh, they must take such measures against these racists. This is not something to be evaluated in the context of freedom of thought," he said. Wilders' anti-Islam Party for Freedom had previously called for the Quran to be banned.